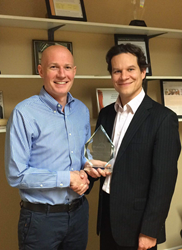 Cogeneration specialist ENER-G presents award for leadership in CHP to Ireland's Temp Tech. Declan Ryan, Managing Director of Temp Tech (left) receives the award from Matthieu Chassagne, Head of International Business Development for ENER-G Combined Power. ENER-G, which is European market leader in small scale cogeneration/CHP, appointed Temp Tech as its Irish Cogen Partner in 1991. Limerick-based CHP specialist Temp Tech has won an ENER-G 'Cogen Partner' award for its green energy leadership in developing the combined heat and power (CHP) market in Ireland. ENER-G, which is European market leader in small scale cogeneration/CHP, appointed Temp Tech as its Irish Cogen Partner in 1991. During this time the partners have delivered 166 CHP projects - helping Irish enterprises to reduce both carbon emissions and energy bills by switching to efficient on-site energy generation. Matthieu Chassagne, Head of International Business Development for ENER-G Combined Power, said: "Temp Tech is the largest small scale CHP supplier in Ireland, with a 55% market share and a national team of engineers with considerable expertise in specifying, commissioning, installing and maintaining our CHP technologies. Our longstanding partnership is helping hundreds of organisations to deliver cost and carbon savings from efficient CHP energy supplies." 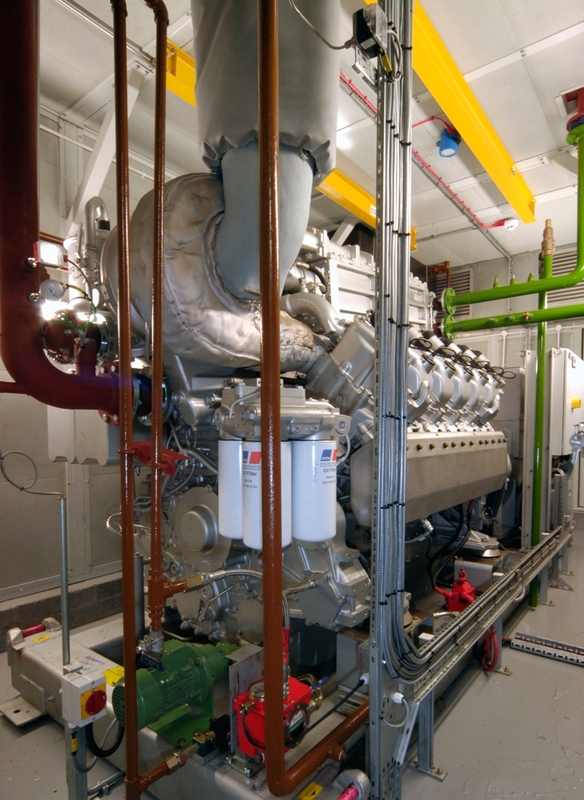 Temp Tech has installed ENER-G CHP systems across both the commercial and leisure sectors. Its diverse customer base includes: Kerry Group, Radisson Hotels, Galway University Hospital, Leinster House (Houses of the Oireachtas), Aura Leisure Centres and the University of Limerick. Declan Ryan, Managing Director of Temp Tech, said: "We are proud to receive this award and to partner with ENER-G in supplying their high quality CHP technologies to the Irish market. The CHP systems are available via energy performance contracts, which enable us to offer cash strapped customers financed energy solutions on a pay-as-you-save basis." CHP is a proven technology that allows organisations to create their own green, lower cost energy supply. It is almost twice as efficient as conventional power generation because the heat that is normally wasted in conventional power stations is recovered and used on site, rather than wasted into the atmosphere. ENER-G, which is headquartered in Manchester, UK, is seeking to appoint new Cogen Partners in growing markets for distributed power generation and with experienced in delivering gas engine CHP.